What is the native habitat of the Rose-Breasted Cockatoo? 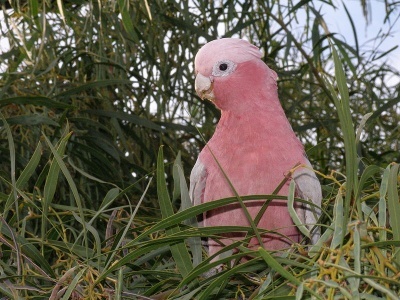 In their native Australia, the Rose-Breasted Cockatoo is plentiful and common. Australians have nicknamed them “Rosie.” They are also called galahs. At present thery are relatively new to America, but popularity is increasing. 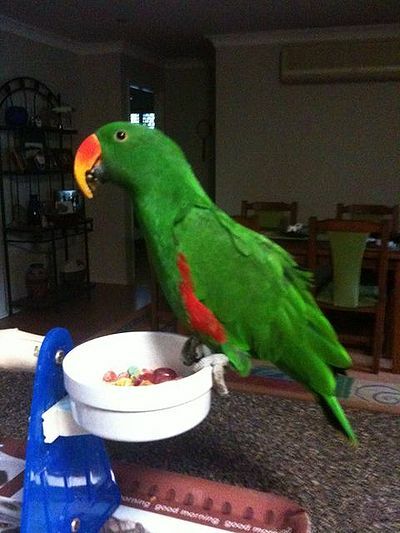 What does the Rose-Breasted Cockatoo look like? Rosies have beautiful rose-pink breast, a white forehead with traces of pink and shades of gray on their bodies. 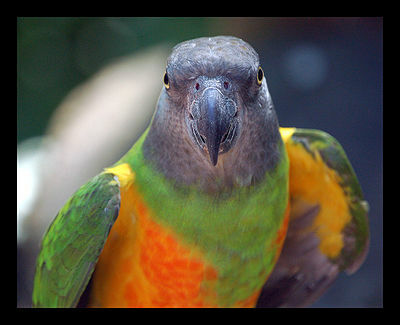 While they are strong flyers, they also enjoy walking. Rosies can be independent and may not enjoy being held. But they are social and do like human companionship. They will learn to talk and they are comics as well. Rosies have a nipping habit, but by ignoring such behavior it can be modified. They are very smart and the large cage should be stocked with things that test their intelligence and keep them busy. They have huge appetites so watch the weight. 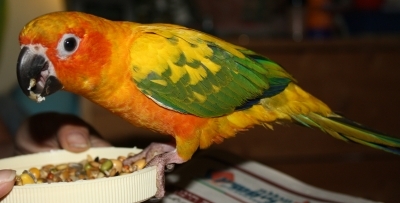 Rosies feed on fruits, vegetables and pellets, occasionally seeds. Fresh water should always be available.